I spent yesterday feeding my soul at the Gulf States Horticultural Expo in Mobile, Al. My colleague, Ellis Bullock of Outerspaces Landscapes, and an old college friend, David Ellis, with Woerner’s said it is a “must see and do” , and they were so right. Especially after the two weeks of below freezing weather we had, which killed almost my entire back yard!! The Mobile Outlaw Convention Center was filled with over 430 horticultural companies in 700 booths displaying with green pride the best and newest in plants and landscape products. Sweet heavenly bliss!! Booth after booth of massive trees, shrubs, perennials, and ground covers warmed my heart and fed me with the hope that my backyard, and yours, will come back to life this spring! Here are a few pictures of some new cultivars I saw at the expo that I’d like to try in my garden. How about you? 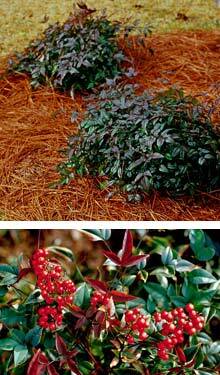 This dwarf nandina is going to be a big hit with its beautiful green and wine hued foliage, and vivid vermilion berries. Keeping a compact form Harbor Belle is maintenance free. Use as specimen or in mass, you cannot go wrong with the new Nandina domestica ‘Jaytee’. 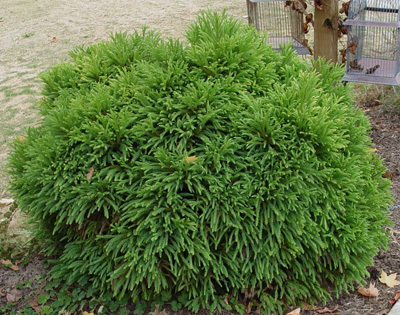 Developed by Ralph Rushing from Rushing Nursery in Semmes, Al., and named for his daughter. 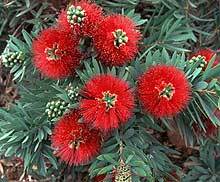 I’m enamored with the Callistemon viminilis ‘Little John’, a dwarf bottle brush shrub. I’ve seen it planted in mass, and it is spectacular when blooming. 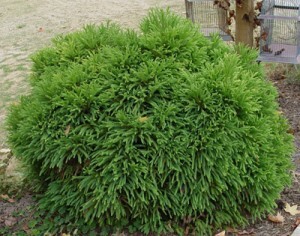 It is drought tolerant and attracts hummingbirds. Plant in full sun for a big splash of bright red color this summer. 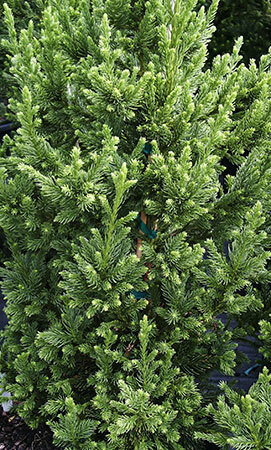 ﻿A couple of cryptomerias have my attention, too: Cryptomeria japonica ‘Black Dragon’ and ‘Globosa Nana’. Their texture and form are so interesting. The ‘Black Dragon’ grows to be about twenty feet tall while the ‘Globosa Nana’ is a dwarf with a mounding form that can grow to four to six feet. 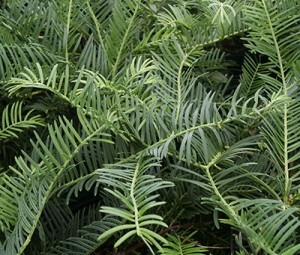 Be on the look out for these plants and more at your local garden store. My brother-in-law knows what a hibernating bear I become in the winter at our cabin in western Alabama. Even when it’s sunny, if the temperature is less than 50 degrees, I tend to stick by the fireside. I thought he was using extreme imaginative measures enticing me outdoors with claims of seeing “ice flowers”. I had never heard of them before, and it took some coaxing on his part to convince me to check out his assertions. I bundled up with my jacket, hat, and gloves before venturing out for a walk down the dirt road to see this phenomenon, called “ice flowers”. But here they are- check out the photos. When I got home I did a google search, and found several articles about them. 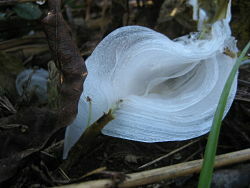 Some people call them ice flowers, others call them ice ribbons- I guess it depends on the formation. 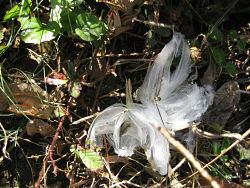 The first picture posted looks like an ice flower, but here’s one that looks more like a ribbon tied in a bow. See the second photo. You might call this one an ice angel because it looks like it has wings. So there you have it! Winter does have something to offer besides a chance to roast chestnuts on an open fire. Button up your over coat and go ice flower hunting! It’s a joy to come upon these flowers because they only “bloom” in certain weather and temperature conditions. You may be privileged to see them one year, and then go several years with no sightings. Let me hear about your ice flower sitings.